← And the reviews are in! When my short story “Blood Tide” was chosen as the lead story in the anthology Seattle Noir, I was delighted. It seems I had hit the nail on the head in responding to Akashic Books’ call for a dark and disturbing noir category mystery story either about Seattle or by a Seattle author (I gave ’em both) on subject matter dealing with the downtrodden, the left-out, or minorities (I gave ’em all three). Come to think of it, now I see exactly why they put my story right up front and center. 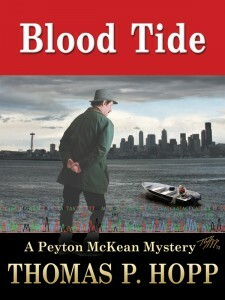 “Blood Tide” is one of my Peyton McKean mysteries and one I’m very proud of. It gives plenty of play to the ingenious brain workings of Dr. Peyton McKean, the Seattle biotechnology researcher and super sleuth whom I like to bill as “The greatest mind since Sherlock Holmes,” and his friend, sidekick, chronicler and sometimes white-knuckle chauffeur, Phineus “Fin” Morton. 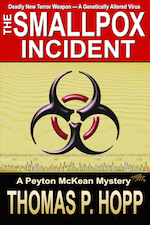 They make quite a team in this story, with Peyton providing the intellectual insights and Fin putting the hot foot to the gas pedal when the chase is on. This is by no means a “Sherlockiana” story recapitulating Holmes in our times but parallels do exist, from the super-smart lead character to the sidekick chronicler to the gloomy streets in common between London town and rainy Seattle. On the other hand, Seattle lends a unique backdrop with its bleak history of environmental degradation in a former paradise and its often despicable relationship with its Native American inhabitants. The natives have their say in this story and to a certain extent, that was one of my purposes in crafting this tale. I wanted to give these normally soft-spoken people a louder voice. Their trials and grievances come through loud and clear. The ebook has already showed up in the book lists of Amazon Kindle and it should appear shortly on Nook, iTunes, Sony Reader, Kobo and other formats. One more thing. 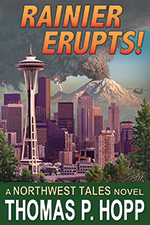 The story is now a bit longer and more detailed than in its original telling in Seattle Noir. As often happens, it needed quite a bit of trimming to meet the publisher’s page requirements, something that is most acute in anthologies published on paper. 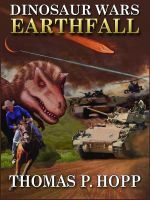 Fortunately this stand-alone ebook version has no such limits, so scenes that had been slashed to the bone could be fleshed out. I think the whole story now reads a little more smoothly and offers substantially more depth of character compared to the necessarily brief telling in the anthology. See what you think. 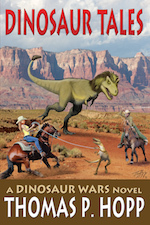 Grab a copy for 99 cents. That’s a good old pulp fiction noir story price. 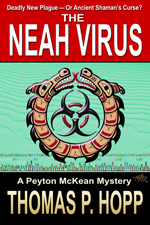 This entry was posted in Indian Country, Peyton McKean, Seattle and tagged Blood Tide, Duwamish Tribe, mystery, Native American, Peyton McKean, Shaman. Bookmark the permalink.